The Polk Audio Command Bar, originally priced at £349, is currently £199 at Richer Sounds. 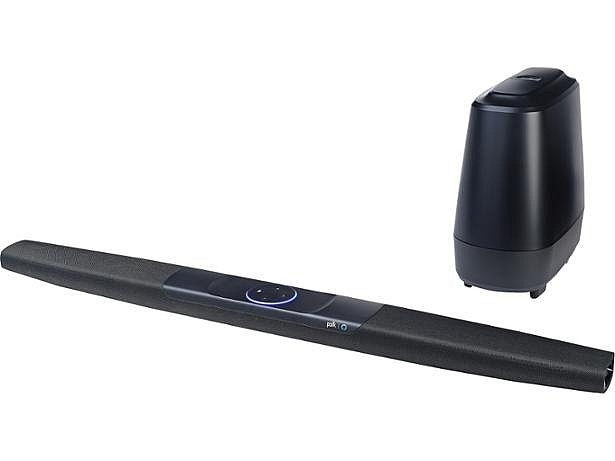 Bursting with features such as Amazon Alexa, this sound bar may be flying off the shelves at this bargain price. We’ll tell you if it’s worth buying. Polk Audio’s Command Bar has built-in Amazon Alexa, allowing you to effortlessly play, pause, rewind and adjust the volume using your voice. All you have to do is speak out loud whenever you want to do or know something. But can it get the basics right – producing rich, room-filling sound? 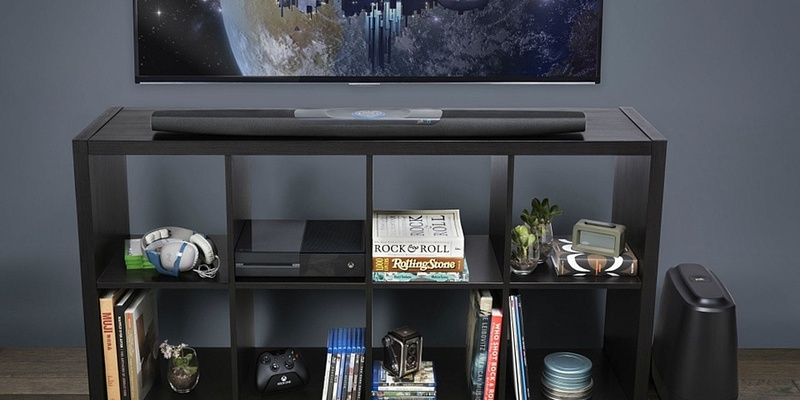 Buying a sound bar that offers hi-tech features at a lower cost than most can feel like a risk. And while a sound bar’s product description might promise jaw-dropping audio, the reality could be that the sound quality is simply as low as the price. Of the eight sound bars we’ve tested that are either Alexa-compatible or have Alexa built-in, Polk Audio’s Command Bar was the cheapest, even at its starting price. We’ve found Best Buys for less than £350 but we’ve also found headache-inducing Don’t Buys. Our sound bar reviews could save you hundreds of pounds and the hassle of returning an inadequate model. Described by Polk Audio as ‘The Home Theatre Sound Bar System’, the Command Bar is packed with advanced features designed to fill your living room with immersive, powerful sound to rival cinemas everywhere. The addition of Dolby and DTS surround sound decoding should make music and movies sound richer, enhancing the precious details in sound, so that it feels like you’re on set with the film stars. DTS-based tracks are sharper and more amplified than Dolby Digital-based ones so they’re a popular option for surround sound. Sound bars that actually manage to create a believable surround sound experience are few and far between. But we’ve found some excellent models – is this one of them? Polk Audio also brands this the best Alexa-compatible sound bar yet. Integrated far-field microphones should make voice control effortless so there’s no need to scream commands if the volume is high. You can also press the Alexa action button on the remote control to decrease the volume and state your request. 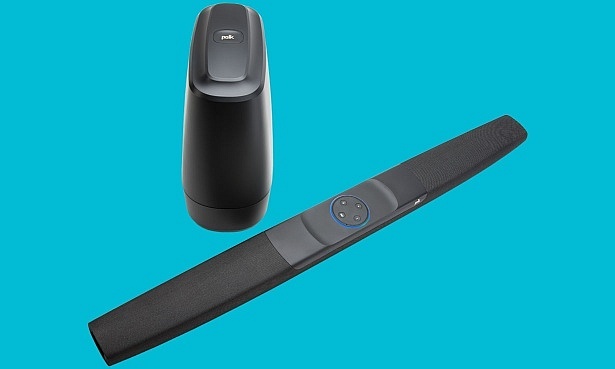 Compatible with a range of brands including Philips Hue, Samsung SmartThings, WeMo and beehive, this sound bar works as part of a smart home so you can use Alexa to control your lights, thermostats, door locks and much more. If Alexa capability and DTS isn’t enough to sway you, Polk Audio have made this model compatible with Amazon Fire TV (sold separately), which can be plugged into one of the HDMI sockets and powered via the USB socket. This gives you access to movies and shows on Amazon Prime Video, BBC iPlayer, Netflix, ITV, All4 and other popular services. Other features include pre-set audio modes for sport, music and movies, Night Mode to optimise audio for quieter night time viewing, and Polk Voice Adjust Technology to customise voice levels of whatever you’re watching to make speech sound crystal clear. Our rigorous sound bar tests include judging the features offered and telling you whether they’re actually useful and work as well as they should. We’ve exposed many models with a long list of attractive features that just mask poor sound quality. Many sound bars fail to live up to their marketing spiel. Read our Polk Audio Command Bar review to find out whether it’s worth heading to the Richer Sounds website grab yourself a bargain. Missed the boat? If you’ve seen this article too late and missed out on the deal at Richer Sounds’ deal, fear not. There is no need to hold out for another sale. We’ve uncovered Best Buys for less than £200. Check out our Best Buy sound bars to find the best model for your TV.